Aaaaaaaaaaand, we're back. It's fall, ya'll! I hope you had a great summer. Which brings me to batteries. Specifically 9v batteries, like this little beauty. 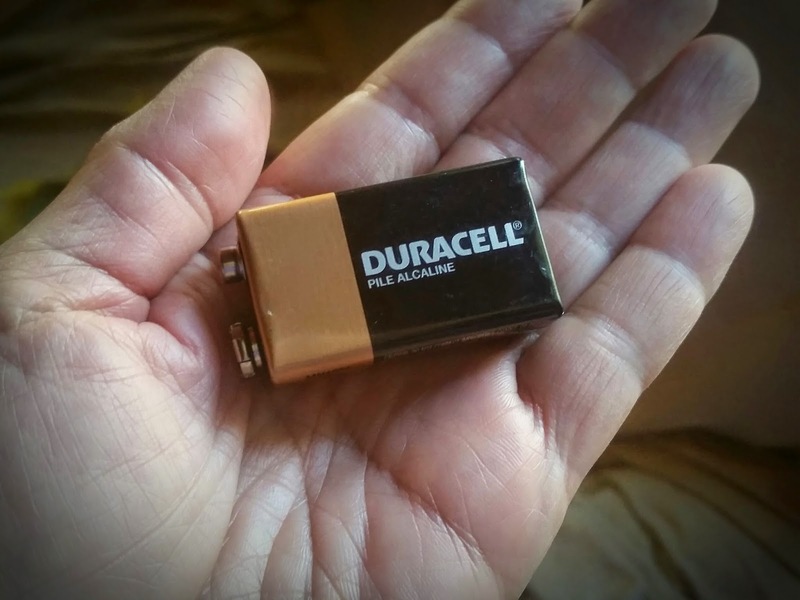 9v batteries cost about $5.00 each and they will save your life. Isn't it cute how it's all "Yeah, I'mma save your life." See, the received wisdom in the US is that we should change the batteries in our household smoke detectors every six months so they are always fresh and ready to save our lives. As a handy-dandy way to remember to do this, the Consumer Product Safety Commission suggests we replace the batteries in all our smoke detectors when we change into and out of Daylight Saving Time. The problem is that the dates for springing forward and falling back have been moved so much over the years that now there are just four months between the fall and the spring change, then 8 months between the spring and the fall change. That's not, by definition, every six months. Thus I change our batteries on the Spring and Fall Equinox. Those dates are always, by definition, six months apart, and they apply all over the world, so readers in Philippines or in Denmark or in the South Pole, I'm pleased to announce that you are back in the loop. You're welcome. You might see a good sale on 9v batteries in the next month or so because of the aforementioned CPSC recommendation. Don't stock up. You want fresh batteries. That's why you're changing them, remember? Fresh batteries will save your life. Old batteries that have been sitting in the utility closet for three years have the potential to mock you in the worst way possible. Just go ahead and spring for enough new batteries to get you thru the winter. It's pretty cheap insurance. ProTip: the battery you take out of your smoke detector is probably not dead, and in fact might have quite a bit of power left in it. Not enough to bet your life on, but plenty to run things like a clock radio or a remote-control toy. Draw a big X in permanent marker on all sides of the battery, to indicate that it shouldn't be used in your smoke detectors, and save it for other uses. Then when it has really and truly run out of power, take it to the recycling center so it doesn't clutter up the landfill. The earth thanks you. PS--A while back I started a newsletter and then let it go to sleep. Sorry about that. If you want to keep up with my homemaking or homeschooling or homesomethingelse-ing, you can sign up on the sidebar. I promise you'll hear from me often enough to let you know what's happening but not so often that you feel like you're being stalked. You've reminded me to check all of our smoke detectors. Thanks. Looking forward to the resurrection of your newsletter, too.